Edit Enabled: Checking this box you will enable your customer to edit his Contact related information. Editable Fields: Here you can choose which field are editable by your contact, you can select as many fields you need and they will be shown in the Contact section of the My Preferences tab in the portal customer area, the available fields comes directly from the Contact module of your CRM. Edit Enabled (Organization): Checking this box you will enable your customer to edit his Organization related information. 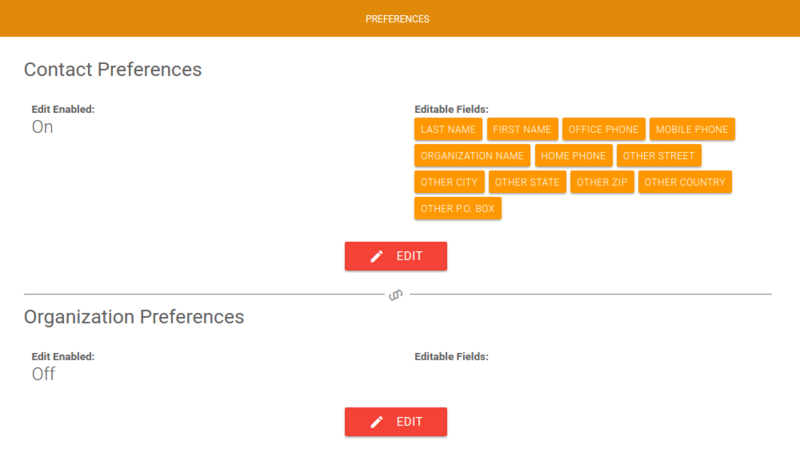 Editable Fields (Organization): Here you can choose which field are editable by your contact, you can select as many fields you need and they will be shown in the Organization section of the My Preferences tab in the portal customer area, the available fields comes directly from the Organization module of your CRM. When the customer updates some data, the information will be automatically updated in your CRM Contact and Organization module. In this section you will be able to create different profiles to assign your customers, each profile can contains a set of conditions rules based on the logged customer/organization fields. 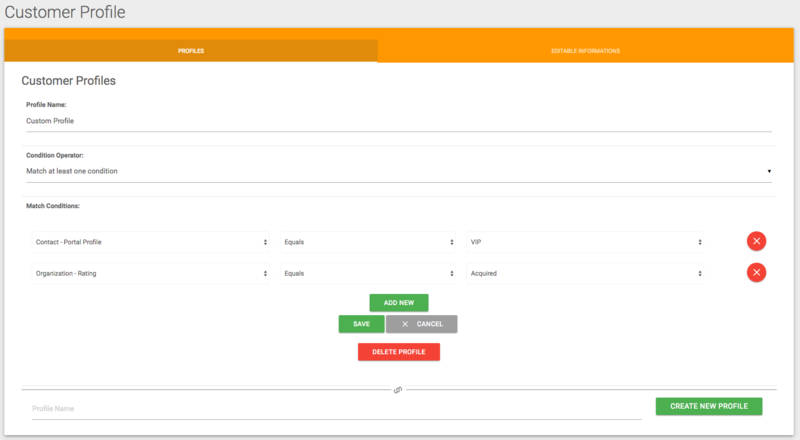 To get profiled the logged customer fields should match the conditions that you defined in your profiles, the priority is from the last inserted profile to the first, if no profile will be matched the customer will be assigned to a default profile that will be able to see all your configuration. After you defined your profiles you should assign each module configuration to the profiles that are allowed to see it, to do this you'll find a parameter in your module general configuration called "Allowed Customer Profiles" where you can pick the allowed profiles.